The capital city of Mozambique, Maputo is the hub of the economy in the country and host to the largest port in the Indian Ocean, the Maputo Harbour. This metropolis boasts some of the country’s fascinating historical buildings that showcase an era of Portuguese colonialism and features some wonderful tourist attractions for holidaymakers. Because the city receives many visitors from all walks of life and all corners of the globe, much thought has been put into ensuring that Maputo accommodation caters to all tastes and preferences. Whether your purpose for visiting is strictly business, pleasure or both, you can be guaranteed to find the ideal accommodation to suit your requirements. Most of the hotels in Maputo are conveniently situated close to the major tourist attractions and conference center and are within a few minutes’ drive from the Maputo International Airport. Maputo accommodation features excellent facilities that cater to the needs of the discerning corporate guest, and these include boardrooms plus conference rooms with high-end facilities. The hotels offer different room styles, aimed at accommodating different kinds of budgets. Because of its location on the Indian Ocean coastline, visitors to Maputo can let loose on its lovely beaches, basking in the sun and frolicking in the warm waters. The best place to mix business with pleasure, make the most of your stay with a visit to one of the city’s lively bars for a night of fun as you dance till the wee hours of the morning, drinking and making merry. Indulge your taste buds with delectable local dishes and the famous Mozambican prawns from one of the many restaurants that line the streets. Make sure to include a trip to Maputo Elephant Park for some amazing game viewing experiences where you’ll get up close to elephants and other exotic animals in their natural habitat. You too can enjoy a holiday in Maputo and when you arrange with the Mozambique Travel team, you are guaranteed great deals on your accommodation. Our team of expert consultants will help tailor a package to suit your needs. Get in touch with us today and we will make your dream holiday come true! The beautiful country of Mozambique, on the east coast of Africa, features a wonderful coastline on the Indian Ocean, and as a result is home to some of the finest beach resorts in the world. With a choice of specials & packages that allow visitors to combine a visit to one of the magnificent, exotic islands plus a chance to experience the friendly and colourful capital, Maputo, now is the time to visit this attractive and welcoming country. Maputo accommodation can be found and suits all budgets and needs, and this charming and fascinating town is well worth a visit. A thriving port and the biggest city in Mozambique, Maputo has an interesting and historic past. It is also known as the City of Acacias, thanks to the many fine trees that line the pretty streets. All Maputo accommodation is within easy reach of the areas of interest, and there is plenty to see and do in this fascinating place. A multi-cultural city – the main influences being Portuguese and Bantu – Maputo hotels sit among some of the most interesting architecture in Mozambique, and it is a place that reflects many different influences across the years. Visitor attractions include the world famous Maputo Elephant Reserve, which is also within easy reach from your chosen Maputo accommodation. Here you can take a chance to view elephants, plus many other local and exotic creatures, in their natural environment, an experience that can only be repeated in a few other places. Back in the city and the fine buildings and thriving arts centres – Maputo is a city with a strong tradition in the arts – are a must to be seen, and with many excellent restaurants serving a choice of local and international cuisine plus lively bars and good shops, this is a place where you cannot fail to be entertained. Choosing the right place to stay in Maputo, whether as part of a package deal or for a quality city break, is best done with the help of experts, and we are the acknowledged leaders in Mozambique travel with access to the best of Maputo hotels. Our team of friendly and experienced advisers are on hand to help you choose the right Maputo accommodation for you, and whether you are visiting for a holiday or for business we can make sure that you get the best prices. Get in touch now, and book that Maputo break you’ve been planning online. The beautiful country of Mozambique, one of the jewels in the crown of African holiday destinations, occupies a prime location on the south east coast, with the glorious Indian Ocean lapping at its amazing beaches. With a wealth of beach resorts, towns and cities, and the adjacent Bazaruto and Quirimbas Archipelagos, this stunning place is one where you can find an affordable family holiday or romantic break in a genuine tropical paradise, and the sheer variety of opportunities for enjoyment is hard to match anywhere else in the world. Mozambique beach holidays take advantage of some of the most astonishing locations and great weather, and with excellent package deals and specials available, you may be surprised at what you can afford. Your choice of Mozambique beach holidays ranges from those on the glorious Inhambane Coast on the mainland to the fabulous tropical islands, and it is perhaps the latter that offer the best options in terms of exciting, exotic locations. 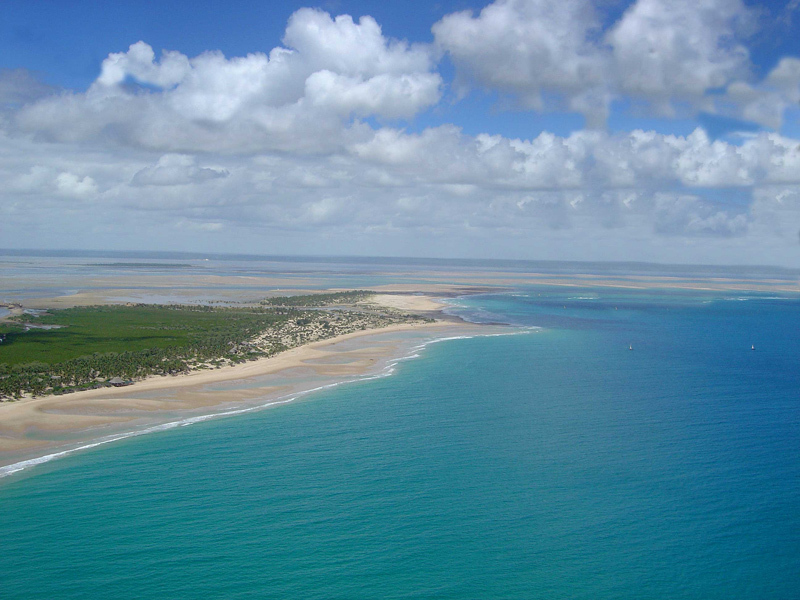 The Bazaruto Islands, inclusion the island of that name and the fabulous Benguerra Island, are as tranquil and relaxing as it gets, and there are many fine Mozambique lodges to be found in some great resorts. Benguerra Lodge, the first to be established in the islands, is a wonderful place decorated in a traditional style and offering a variety of suites at great prices. With fabulous facilities, and a magnificent beach-front location, this amazing place is somewhere you will never forget. At the Anantara Bazaruto resort, on neighbouring Bazaruto Island, you can enjoy equally fantastic Mozambique beach holidays, in superb accommodation with stunning views of the ocean, where you can take in snorkelling trips to view the wonderful coral reef wildlife and enjoy the ambience of this relaxing, yet exciting, resort. With restaurants serving fine local dishes, especially the seafood that the area is famous for, and a bar, pool and much more, this popular resort is one for families and couples alike and is among the very best of Mozambique beach resorts. Ibo Island Lodge, on the Quirimbas Island of the same name, is a truly exclusive choice of a beach resort that offers much more than simply a holiday. This is an experience like no other, a place where you really can let the world pass you by, and represents the very best in Mozambique beach holidays at surprisingly affordable prices. On the mainland is White Pearls Resorts, an equally exclusive place with luxurious accommodation and fine facilities, and ranked by many as one of the finest of all resorts in Mozambique. As experts in package deals on Mozambique beach holidays, we can help you find the very best package for you, and our friendly and helpful team of travel advisors will be more than happy to help you put together the very best package at the right price. With many specials and offers available on Mozambique travel, and our acknowledged expertise on Mozambique accommodation, we are here to help, so get in touch now and book a dream holiday you will never forget. Be counted amongst the privileged few when you go on a Mozambique Dolphin Safari. Discover unadulterated pleasure when you swim with these amazing aquatic mammals. If you are lucky enough to find these inquisitive animals in the mood for play, then you are destined for one of the most fantastic time of your life, if not, you will have to just stand on the sidelines and watch them feed. Stay at Ibo Island Lodge for a couple of days to enjoy this spectacular encounter. Thanks to the Dive Quirimbas activity centre, visitors can enjoy unique dhow island hopping safaris that can include dolphin encounters, depending on the weather and the occurrence of these social creatures when you are there. You don’t have to be an expert diver to interact with these friendly dolphins. You can tailor-make your dhow safari into your superlative adventure, and experience a Dhow-Dolphin Safari over 3 days. Your dhow-dolphin safari entails sailing off to uninhabited islands under the expert eye of a guide and local crew. You will snorkel off deserted white sandbanks into clear blue seas and then camp overnight on secluded Quirimbas shorelines and tucking into fresh seafood on the fire. Other islands and lodges also offer visitors a chance to encounter dolphins almost cheek to cheek in the Quirimbas and at Ponto do Ouro. See these friendly creatures as part of your dive excursion on Matemo Island. Pemba Dive and Bush Camp on the mainland also offer brilliant snorkelling trips with the 4 dolphins species which cruise this Mozambique coast. The Dolphin Encounters have for many years guided their visitors to swim cautiously and passionately with dolphins to better understand them and ensure their ongoing protection. These forerunners of dolphin swims provide ethical marine encounters according to strict codes of practice. In Mozambique, the intelligent Bottlenose Dolphins are the most common, often coming into the warm bays to play. Book your Mozambique Accommodation and add on a dolphin safari with Mozambique Travel and be part of this strict supervision dolphin encounter! One of the most used Google search terms for Mozambique just happens to be ‘accommodation in Mozambique’ for very good reasons. This inviting tropical African country offers visitors the world – in a nutshell. If your holiday world is a vision of dazzling white beaches, warm clear blue seas, visions of dolphins and whales, platefuls of succulent crayfish and days filled with outdoor activity, then Mozambique is for you. The wide variety of hotels, lodges and resorts may leave you feeling a bit over-whelmed so let us make it easier for you. We at Mozambique Travel.com have all the expertise and more to facilitate the most amazing journey into Mozambique, enhanced by the some of the best accommodation in the world. We offer special deals and packages – unbeatable quotes and service! Where do I stay in Mozambique? This is a good question! For starters, how and where do you choose accommodation – in the southern coastal region, the central coastal region, the northern coastal region or all of the magnificent islands of the Bazaruto and Quirimbas Archipelagos? And how will you fit in time at some of the amazing safari lodges in the Niassa, Maputo Elephant and Gorongosa National Parks, where another side to Mozambique reveals itself in the pristine wilderness and rich wildlife experiences? Let’s look at a few examples. Take Barra Beach Lodge in Inhambane where lies one of those all-encompassing beach destinations which offer prospective guests unspoiled beaches, a glorious setting on a natural estuary, delicious seafood meals, fun and games for the kids – and of course, some of the best accommodation in these parts! And all of this bound together in a special deal to make you smile. Stay in the rustic casitas made from thatch, reeds and brick, reflecting the sea and sand setting so well – you are surrounded by tall coconut trees and hours of beach walking, not to mention awesome horse rides, spectacular diving and snorkeling and time to chill on your deck. If you like the city life but want to be accommodated outside of the buzz, then Machangulo Beach Lodge is for you. 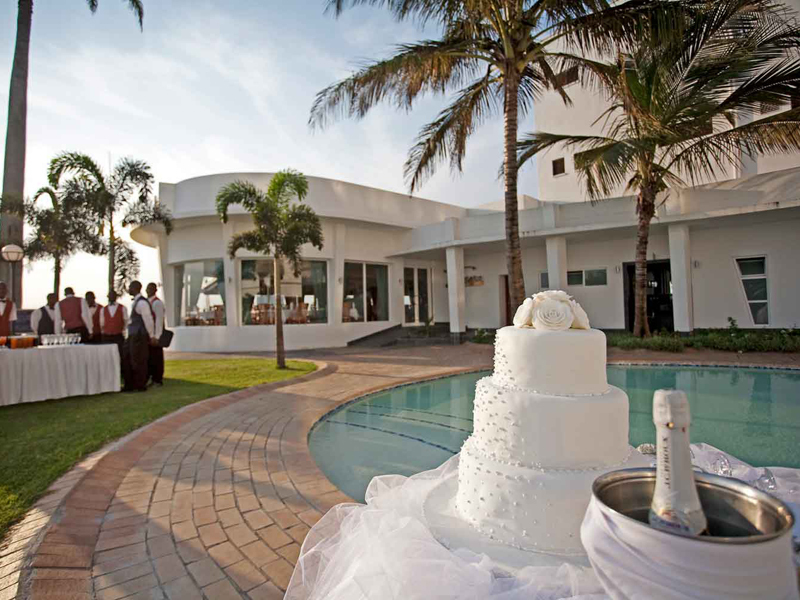 This Mozambique beach resort is a dynamic venue on the Santa Maria peninsula, overlooking Maputo Bay and the island of Inhaca. What could be better if you want sea views and opportunities for boat rides – and great rates too. You will love the luxury accommodation in reed thatched units with comfortable furnishings, ideal for a couple’s breakaway or a family holiday. Your special unit is spotless with a king sized bed under pretty mosquito net. Open your small mini bar for impulsive sundowners on your private deck. I could write on and on about the accommodation in Mozambique, which is why you need to click here to contact one of our professional travel consultants to assist you with your decision. 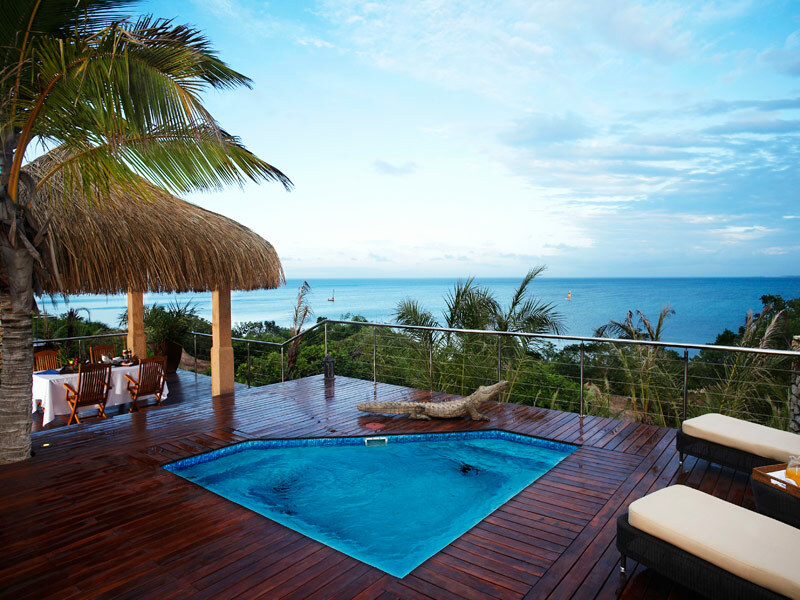 Mozambique accommodation options are endless. This includes a varied array of private islands, resorts, hotels, lodges, and beach safari options. Accommodation ranges from inexpensive backpackers through to some of the most expensive hotel resorts in Africa. Mozambique is a diverse destination, and its regions can be divided into three main area types for travel. A game reserve and National Park region – think Lugenda Wildlife Reserve, Gorongosa National park and the Maputo Special Reserve. Gorongosa is on the rise once again as one of the best parks to visit in Mozambique, and has been restocked with thousands of animals that are flourishing. The Maputo Special Reserve is also due for major refurbishment in the next year and new tourist facilities will be built that will rival Kruger. There are also some incredible marine reserves like the Bazaruto and Quirimbas Archipelago’s National Parks. Go and snorkel with dolphins or try see the elusive Dugong an a dive in Bazaruto. So much to discover on a safari to Mozambique! For more mainstream tourism and beach holidays to Mozambique – think of the resort towns of Vilanculos, Bilene, Inhambane and Pemba. World class beaches and a wide range of accommodation to chose from here. Most of these resort towns have decent international flight access from Johannesburg, and those further south are perfect for self drive holidays to Mozambique. And for those special island holidays to Mozambique, go to the Bazaruto Archipelago and the Quirimbas way up north near the Tanzania border. Here you will find lodges like Azura Quilalea and the incredible Ibo Island – lost in time for centuries. Most of the main cities are frequented by business travelers especially the capital city of Maputo. 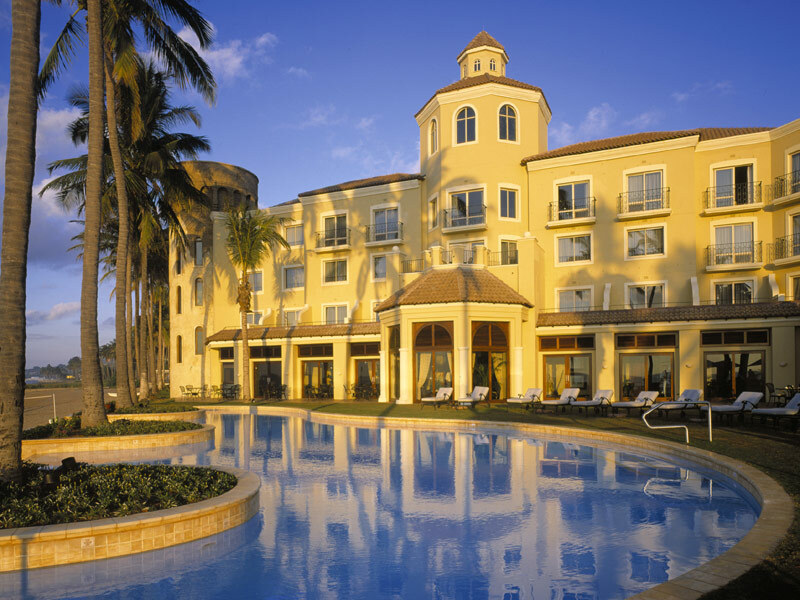 We have a great range of hotels in Maputo for you to chose from. And have organised conferences and team building events here and throughout Mozambique. There are iconic hotels like the Polana that are as famous as the peri peri prawns served as barsnacks! And more reasonable options like Hotel Cardoso offerring great value for money and great facilities for meetings and conferences. From tricky out of the way cities like Lichinga, to car hire in Beira – we can book it all for you at discounted rates. Contact our destination specialist for further information and discuss your holiday needs and wishes. They will be delighted to assist you put something special together. We have been booking all kinds of accommodation in Mozambique for over 20 years.